If you thought Summatronic’s Phase 1 lineup was anything to go by regarding the magnitude of Goa’s newest and sassiest dance music fest, you’re in for a huge surprise. A surprise that’ll take your excitement, anxiety and love for music fests to a whole new level. Summatronic Goa Full Artist Lineup is out, and they are mammoth names there, to say the least. This second lineup is all about artists who have always let a part of their heart speak to their fans through their music, and in the process, capture the very essence of magnificent music. If you can reckon with a young, talented and stylish artist in the EDM arena today, its this man from Sweden. Marcus Schossow. As a kid who used to daydream a lot and make music for hours, Marcus has forever been a music aficionado and now does what he always meant to, make music from the heart. 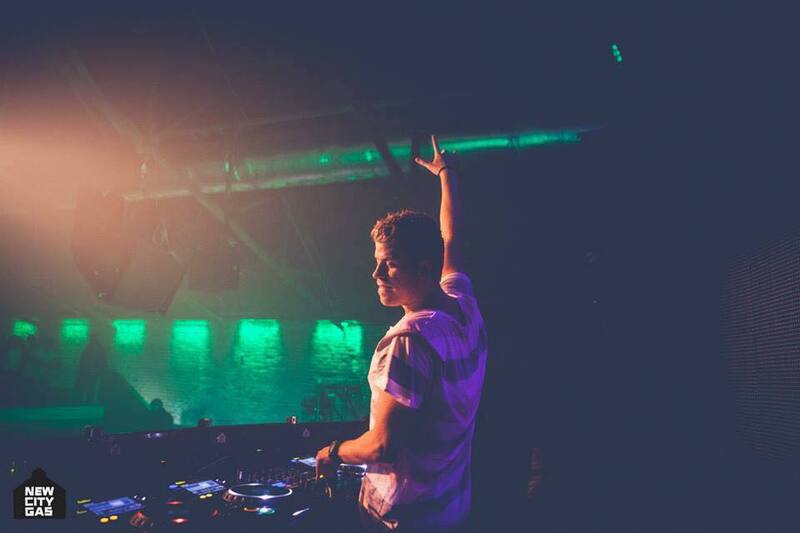 Associated with Axtone Records, Swedish future house star Marcus Schossow will be the next big thing to grace Goan sands this May. This being the first Time Marcus Schossow is touring India, the festival is going to be massive! Joining Markus Schossow for the ‘eccentric summer festival’ is New ID from Amsterdam. The duo of Ralph van Vugt & Devi van der Horst have had a splendid 2014 and an even better 2015 is surely on their to-do list. Also a part of Axtone Records, the duo have always believed in diverse music that defines people and their path-breaking music speaks loads about their nique place in the industry. All in all, with an amazing 2015 campaign ahead of them, Summatronic is totally game for these born talents. But that’s not all folks. Starkillers is yet to feature on the Indian scene, just like the others above, but when they do, its going to be madness guaranteed. Founding his own Brawla Records, Nick Terranova aka Starkillers has forever been there to find its identity in the ever-changing music circuit and to go a step forward and create music that last through the ages and is loved by people who connect to it. Representing all those who have stood by themselves to finally come out on top, Starkillers will add a whole new dimension to Summatronic, and something more to groove about for all you lucky souls who have vouched their presence at Nyex Beach Club, Anjuna. And there’s one more name to add the massive element in Summatronic, and its German hearthrob Tujamo. The perfect package of versatility and flair, Tujamo has earned a name for his ever fresh sounds, success with big artists and being a constant name to tour the dance music scene. Now that this German party regular is making his way to Goa, Nyex Beach Club – Goa will be another addition to his list of world’s best clubs to have played in. The Early bird Tickets are available for Rs 1,300 only until 16th April! Next article Gareth Emery pays a Tribute to Game of Thrones with his remix!